Demolitions in Nairobi are back with 2,000 residents of Chokaa Estate in Mihang’o Ward left homeless. The demolitions, which kicked off on Monday, are said to be targeting 400 families who live near Kenya Power way leaves. 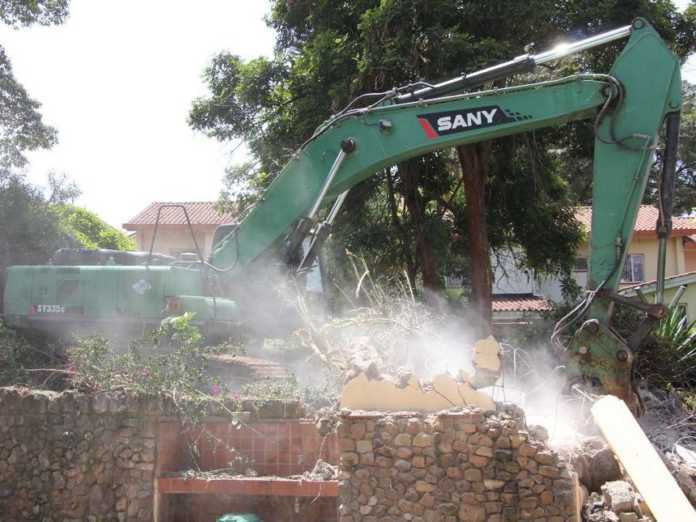 Residents watched helplessly as the dreaded Sany tore down their homes as some accused Kenya Power of backtracking after assuring them that their houses were not infringing on way leaves. 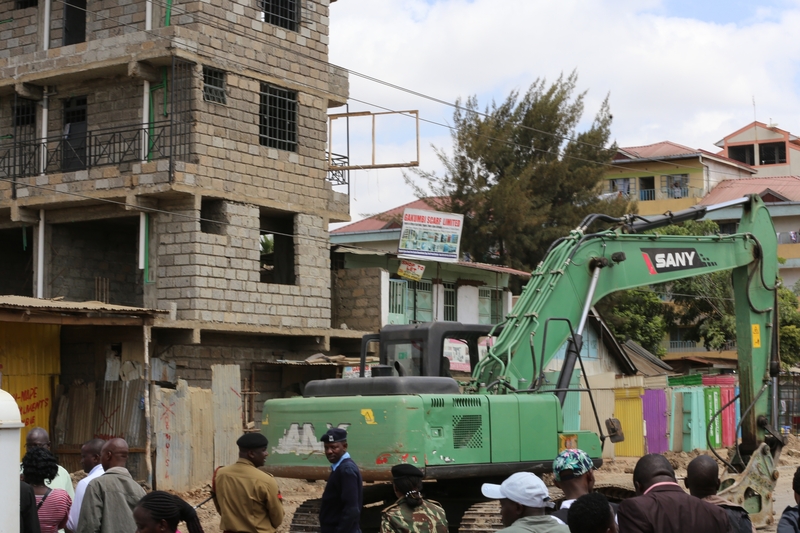 Officers from Kenya Power reportedly visited the estate last week when they took measurements and revealed that some houses were beyond the 15 metres needed for electricity line reserve. Kenya Power is said to have asked owners of buildings close to 220KV power lines to demolish the voluntarily. Other residents claimed that they had not been given notice of any pending eviction or demolition although they had lived in the estate for more than five years. However, Kenya Power claimed that they issued the residents with eviction notices last year and even marked the buildings on the way leaves. Next, Kenya Power will be heading to to Mowlem and Dandora Power substation where they will clear structures. Kenya Power guidelines allow structures built 20 metres on either side of a 220kV power line and 15 meters on either side of a 132kV line. The power firm says there are thousands of buildings illegally built on way leaves that stretch 5,300km countrywide.